​CrossFit Tyler is for everyone! You don’t need to be great to start. You just have to start. Our members range from 5 - 75 years on all fitness levels. We believe that CrossFit is the best possible thing you can do for your body, no matter where you are right now in your fitness. At CrossFit Tyler, you will sweat. You will be cheered! You will grow stronger. And you won't do it alone. We don't take the word "family" lightly. There's a reason our tee-shirts say "Where Everybody Knows Your Name." All of us at CrossFit Tyler support every member in a way that exceeds community. We will fight for you, clap for you, and be there when you need us. We know that your fitness journey does not end at the end of your workout. 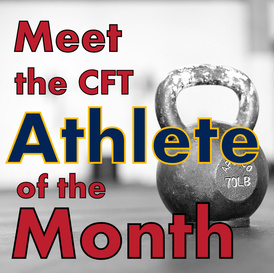 As a CrossFit family-member, you are invited to our community events, have access to nutrition help & our children's Fun Room, CrossFit Kids, and more.